So I have a Compass card, and used up my last FareSaver, so I cannot say I am directly impacted. And, since I can afford to not only buy a Compass card but also keep it loaded against possible future needs I will now enjoy a more convenient system. But that doesn’t mean that the decisions that have been taken up to this point are not acknowledgements of failure. When a transit system adopts new fare technologies there do have to be some adjustments – but mostly that ought to be adjustments of the technology to meet the system’s needs and not the other way around. 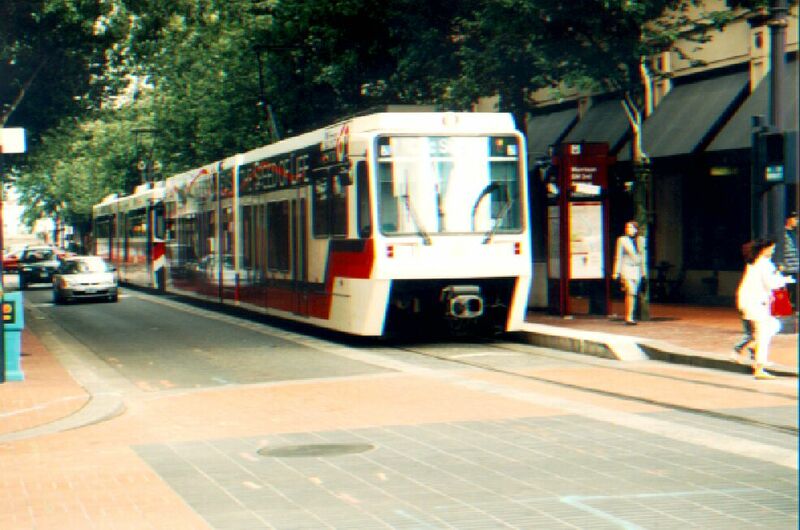 When the transit agency invites bidders to tender for their system’s requirements one of the things that both sides have to look at is how well the proffered technology meets the specification. In the case of the Compass card, Cubic have not been able to meet that test, yet it is Translink that is taking both the criticism and adapting to suit the shortcomings of what it has bought. They have already abandoned one of the pillars of the fare system: three zones during daytime on weekdays. Yes, in some distant future they may be able to switch to fare by distance, but not with the existing equipment on buses. Now three zones have often been challenged, as arbitrary and based on a region centered around Vancouver (Zone 1) where fares rise based on distance to that centre which is not exactly what this region is now like. A short ride across the harbour costs more than the ride from Langley to Ladner. And since the bus route network has been designed and adapted over the years to feed passengers into the SkyTrain there are not that many opportunities to get a cheaper ride by staying on the bus: though I do wonder if the #19 has seen an increase in use recently. But the reason that the bus is a one zone fare no matter how many zone boundaries it crosses is simply because the tap out reader on the bus doesn’t respond quickly enough. A very basic system requirement, and an equipment failure. In other word’s Cubic’s fault, not Translink’s. But that one ticket ride – which is so admired in places where multiple transit agencies serve the functional economic region – will no longer be available to the casual – cash paying – user. Who could be a visitor, or someone who either doesn’t need or cannot afford to use transit frequently. If you use the bus to get to SeaBus or the SkyTrain and pay on board you will have to pay again – as there will no longer be a usable transfer between bus and “rapid transit”. And will impact people travelling within one zone quite significantly: their fare has been doubled, just because Translink decided NOT to install a magnetic swipe reader on some gates. Or buy machines that could issue Compass tickets on board buses. I am sure that Translink has talking points about how that is not financially worthwhile, but then the whole Compass system is a financial disaster. It is supposed to improve revenue collection and deter fare evasion, but will never be able to pay for itself that way and the province has had to accept some responsibility for that. For the “choice” rider – those who decide to stop driving for every trip and try transit – this is going to look like a deterrent. If Translink was able to stick to the idea of increasing transit mode share, that might be an issue. But the reality now is that Translink cannot cope with current demand – let alone increases even if they only come from a growth in population and transit share stays static – or even falls! When the current generation of electronic fare boxes was bought for buses, adaptation to future needs was one of Cubic’s selling points. The decision to only go to magnetic swipe cards and not smart cards reflected what was then available – but with the knowledge that the technology would change and the electronic farebox was specified to be adaptable to meet that possibility. In other systems, magnetic stripe cards are still in use alongside newer card readers. I have seen that for myself in a number of cities in North America and Europe, including ones using Cubic equipment and many more than three fare zones. Indeed the choice of Cubic as supplier for the new Compass system was influenced by compatibility of the new and old systems. The issue over the accessibility of the system to people with disabilities ought to have been settled much earlier, and is a profound failure of a transit system which at one time was trying very hard indeed to improve accessibility. There seems to have been a significant unwillingness to listen to what was being said – or a willingness to ignore a small number of users over the need to install and get working a fare system bedevilled by delays and other failures. That is a failure of Translink, not Cubic. I got a call today from a producer at CBC TV news who wanted my opinions on the latest delay to the roll out of the Compass card. It seems that the Union has been drawing attention to the poor performance of the card reader on the buses, especially for those who remember to tap out when they leave the bus. This has been getting quite a bit of media attention today. The CBC coverage has been developing – as they say – and I said I was reluctant to appear, given earlier experiences when I gave a thorough analysis of a problem and all that was broadcast was a ten second sound bite. I was told that their methodology had changed. So I went to the studio and was interviewed by Miyoung Lee – and most of what I said made it to the 5 o’clock segment as the second item. Here is a link to video which is also underneath the story cited below. Then at 6 o’clock the same story was handled by Eric Rankin, and quite a different picture emerged. This time there was extensive commentary by Todd Stone. He remarked that in the private sector delays and inadequate performance would result in “heads rolling”. No one seemed to remind him that it is the private sector company Cubic that has been missing its targets. Later in the segment, Rankin stated that Cubic had warned Translink that the reader on the buses might not work as required for the tap out system to be sufficiently reliable. That was certainly news to me. Cubic seems to have been reticent to put in any appearance in any of the local mainstream media coverage I have seen up to now. The other surprize for me was the suggestion – raised by TransLink vice president Colleen Brennan – that the three zone system might have to be replaced by a single zone system if the tap out on the bus issue cannot be resolved. If that had been raised in my interview, I would have had quite a lot to say about that. My Florence bus ticket validator story did not make it to air either – and their system was not supplied by Cubic. I was relieved that although a CBC trailer had Jordan Bateman spouting about “boondoggles” he did not get quoted in this context, but something completely different. I did my best to avoid Translink bashing by pointing to the “fit for purpose” test that has to be applied to any contract. I think Cubic needs to be held accountable, unless it can be shown that Translink was told that fare by distance would not be feasible on buses before they signed the contract but went ahead anyway. This is not the sort of story that needs to be leading the 6 o’clock news at this stage of the referendum process. Translink is already in deep trouble for the ongoing series of failures on SkyTrain – another one of those yesterday. I was just going to tweet this story, but sometimes that limited number of characters just will not do. The story can be found on Marketplace – not the CBC tv programme of the same name. This one is on National Public Radio. The parallels to Translink’s Compass fare card are eerily similar. For start the contractor is the same one – Cubic. Marketplace also compares the system to Obamacare – where the web page to sign up for the new health care system was rushed into use long before it was ready for prime time. That seems to be the case in Chicago too. And, as here, the union is worried about how its members get the brunt of the passengers – sorry customers – complaints. Last week, the transit union head demanded that the CTA hold off on the transition, until the kinks got worked out. He said his members were already getting cussed out by enough angry riders. Are there lessons to be learned here or is the process here too far advanced? What does seem to be different is the management of the issue. The CTA is apologizing – and it is not paying Cubic until the system is actually working properly. And the old system is staying in place until it does. Translink has acknowledged that the beta testing showed up some issues – and others – like the pay cash as well as buy a ticket “solution” for the lack of swipe reader on the gates problem – are simply ignored. The user is simply told to get with the program. I think our real problem was that gates on SkyTrain/Canada Line/SeaBus were never actually necessary – but Translink staff have been eager to get away from 3 zones to pay by distance and added smart cards to what was already a seriously flawed concept. There are ways to introduce new fare media and systems that are both graceful and flexible. Chicago learned the hard way why those qualities should not be ignored. Will Translink learn the same lesson the same way? One very odd feature about the story – the headline identifies Ventra as a “new rail fare system” but the story is illustrated by a picture of a bus. I do hope that as a regular reader of this blog you follow Human Transit on twitter (@humantransit). If you do, you’ve already seen this. But I think this deserves a wider audience, and I especially hope that my followers at Translink read it. Not because of what it is, but how it was done. Before you roll your eyes, I am not going to take the line that just because it is done somewhere else it is necessarily superior to what is done here. Nor is it something that we could now adopt. Unless there is someway a smartphone can communicate with a proximity reader. But it does seem to me from reading the following two blog posts that there is something happening in Portland that seems better suited to systems our size than the big system, Cubic engineered gates and readers we have imported. 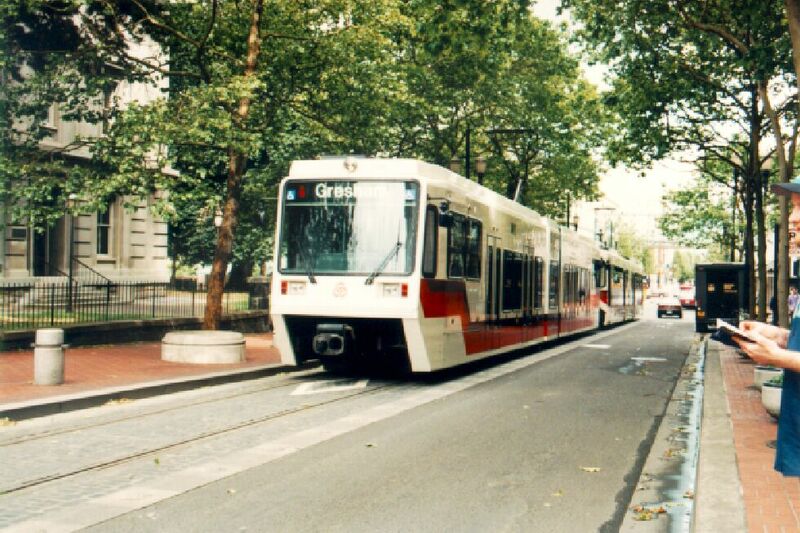 The first article “Joseph Rose: GlobeSherpa’s TriMet Tickets app rescues riders from the machines” explains why TriMet were looking for a new system – and how the beta testers found the new app working. The second “TriMet’s highly anticipated Tickets app ready for download (a day early)” looks at its roll out. I look forward to reading in the comments section below a comparison with the experience of the beta testers of Compass. And no, I do not know if the TriMet system would allow for conversion of or three zone fares to fare-by-distance at some later date, which does seem to be the USP for Translink. The story was broken by 24hours and took me by surprise. I have actually turned down the offer from Translink to be a beta-tester for the Compass card, since I do not use the transit system very much these days. Car2go, walking and biking make up a lot of my trips and, after all, I am not a commuter now either. I carry pre-paid tickets, and the two zone ones still read $3.75. I also try to cut down on carrying change and use cards for most transactions. I actually got a bit irritated the other day when I took a lot of bottles back to the liquor store. They gave me coins for them, but not enough to do anything with. “You can always use them on the bus” said the helpful clerk. (His cash register cannot issue a credit note, which could be used to help pay for the beer I was about to buy.) Since cash fares on the bus are already more expensive than my stock of prepaid tickets, why would I? 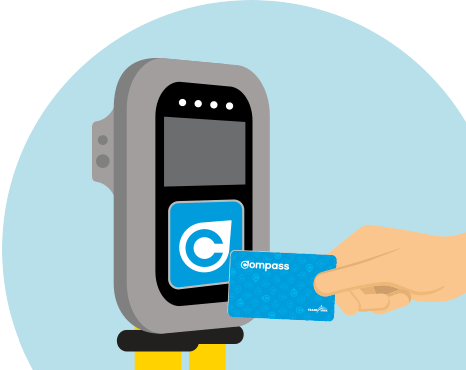 TransLink spokesman Derek Zabel said that at $25 million, it was too expensive to upgrade all bus fare boxes so they would dish out Compass-compatible tickets. 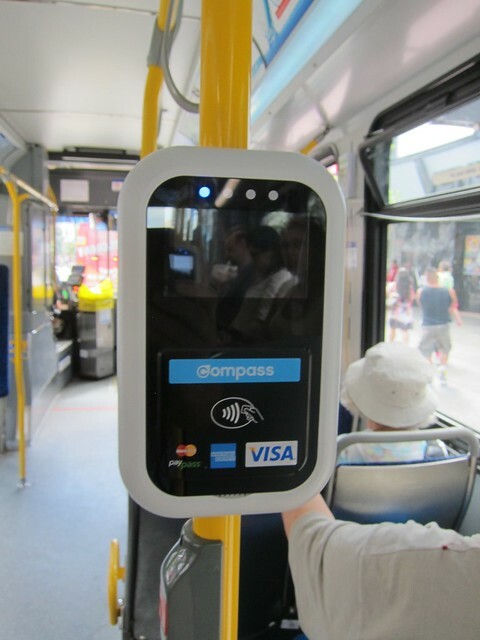 If a passenger carries a bus-transfer pass to the SkyTrain, they will be told to get a Compass single-trip pass from a machine. There will be no trade-ins, nor will there be a discount for cash-only bus fares, Zabel said. The province is providing $40 million and the Government of Canada is contributing up to $30 million from the Building Canada Fund to support the approximately $100 million in eligible costs for the faregates installation and related station improvements. The total cost for both the faregates and Compass card projects is approximately $171 million. Why not enough to make the bus system compatible? It already will never ever pay for itself through reduction in fare evasion. So why not round up to $200 million? Maybe because until the zone system gets replaced with fare by distance, a passenger who has paid cash on the bus and got a (card with a magnetic stripe) transfer already has valid proof of payment. 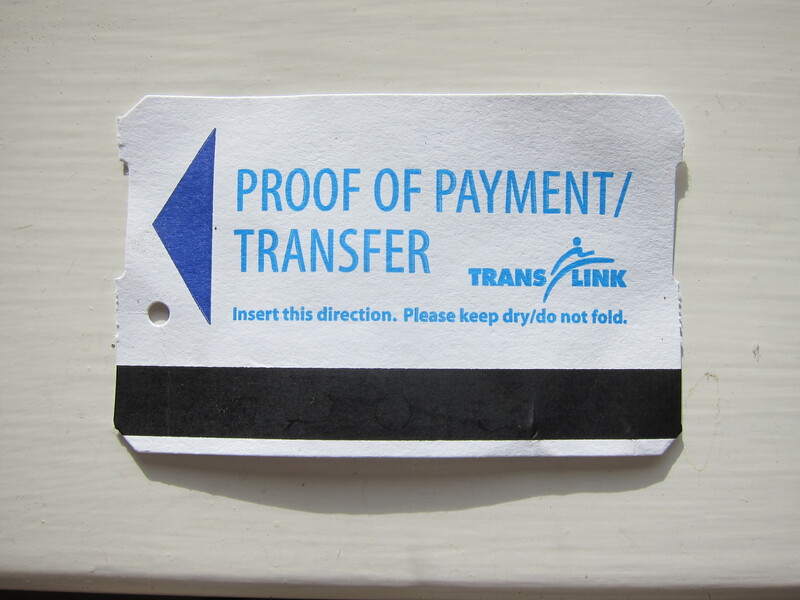 If an actual person – like a SkyTrain attendant or Translink police officer – asks, that proof of payment shows the correct fare has been paid within the last 90 minutes. The problem is that Translink has installed gates on SkyTrain that only stay open when someone waves a valid Compass card (with an rfid chip) at them. And if there is to be any real payback, they have to cut the number of people checking tickets on board. Which actually reduces security overall. You could put the argument another way: why was there no magdip reader on the new faregates? There are probably fewer faregates than buses. Or no magdip reader on the machines that sell the Compass cards? All made by Cubic, of course. And when the electronic bus fareboxes were specified the idea of adding other media was supposed to be a bolt on extra that would be easy to install. At that stage, of course, we were never going to gate SkyTrain, let alone buy gates that only work with media from part of the system. “It’s estimated only 6,000 customers (pay cash and transfer) a day, which represents a small percentage of our daily rides,” Zabel said. So it’s okay to swindle 6,000 people a day, but worth spending $171 million to catch less than 4% of fare revenue thought to be lost to people who don’t pay at all? The people who use cash to buy a ticket and transfer will be those who use the system least. (Or as Renée Stephen points out, people who do not want to be tracked by Compass.) But will include visitors – who have the least incentive to buy a prepaid card and then have it as a useless and expensive souvenir. I send my son the stored value Metropasses we get whenever we visit him in New York. We still have our Paris Navigo cards – but we only bought one month’s travel on them. We can reload them, should we return, but when we left (in a taxi) there was no value left on them. The unwary visitor to Vancouver already gets dinged, of course, if they pay cash from the airport to ride the Canada Line. It’s free to the car parks, and the now under construction shopping mall. But $5 extra for any further. Up until now we have mailed transit tickets to people who are coming to visit us from out of town. Unless we are picking them up at the airport of course. I got quite annoyed recently when Councillor Andrea Reimer tweeted about upcoming fare increases (also due to Compass) “It’s like they don’t want us to use transit”. In only 140 characters it is hard to assign blame accurately. But this is yet another example of Translink’s tin ear as far as its users are concerned. Lack of funding is a problem – but not an excuse for theft. I begin to think she was right. I know my old books of tickets will be useless eventually – but I would expect Translink to have some method of loading my new Compass card with their value, or I won’t buy one until they do or I have managed to use them. 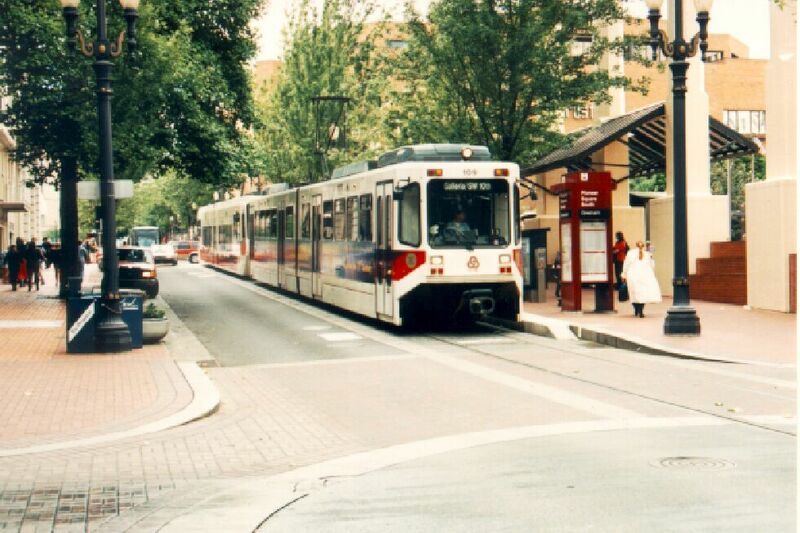 If a passenger has paid the correct fare and has proof of payment, the system is obliged to transport them. The inability of electronic systems to talk to each other cannot be used as an excuse for breaking that contract. Are proof of payment tickets issued on buses now going to read “not valid on SkyTrain”? I was going to ignore the Globe & Mail story (picked up by Sightline’s Daily) about driverless buses. Translink is not really “considering” them in any realistic sense. The G&M was just plonking a CTV clip onto its web page anyway. Bizarre, since CTV is not paywalled and G&M is. And there is no actual content barring a short clip of a driverless people carrier at an airport somewhere. If the driverless bus is a segregated right of way BRT, how is that any different to what we have now? And if Google gets its way and there are already driverless vehicles in mixed traffic, why shouldn’t it be a bus or shared ride taxi too? I am enjoying the flurry of attention this is getting on twitter. Even if it is clear that people read the tweet and respond to that, rather than read what I wrote in this blog. So instead of jumping into that fray again I am going to note a strategy that now occurs to me. Your level of comfort with this will determine if you use it or not. The Operator of the bus is NOT required to enforce the fare system. He/she is only required to inform you of the fare. Some have taken to saying to non-paying passengers “That’s between you and the transit police.” So tell the bus operator that you intend to transfer at the SkyTrain station, and you will pay the fare there as you do not feel it reasonable to be expected to pay twice. Show him/her that you have the fare ready – and state that the transfer issued by the bus fare machine is worthless. I think that is lot easier than jumping the fare gate. But you may find yourself talking to the legal system later. Assuming that this now viral story on social media does not cause Translink to do a rethink. UPDATE Miranda Nelson has posted a list of what she thinks is wrong with Translink on the Georgia Straight which uses one of my pictures (thank you) and has a link to an on line petition against “the pay twice if using cash” policy.